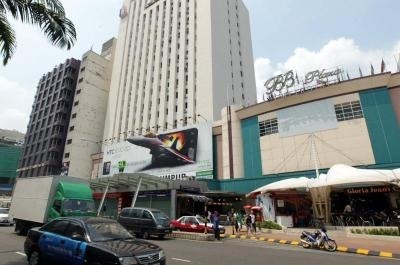 Landmark: The iconic 38-year-old BB Plaza, located in the heart of Kuala Lumpur, will be demolished to make way for the MRT project. KUALA LUMPUR: The 38-year-old Bukit Bintang Plaza (BB Plaza) will need to make way for the construction of a My Rapid Transit (MRT) station, contradicting earlier reports that only the front of the property and basement will be needed for development purposes. UDA Holdings Bhd officials, who earlier met with BB Plaza’s tenants to clear up the confusion on the status of the property, said they had been asked to vacate the premises by MRT Corp by the end of the year in a meeting two weeks ago. UDA, a wholly-owned entity under the ministry, owns BB Plaza as well as several other commercial properties in central Kuala Lumpur, Ipoh and Johor Baru. UDA group managing director Ahmad Abu Bakar said at a media briefing that Tradewinds Corp Bhd, a property and hotel conglomerate majority-owned by media-shy tycoon Tan Sri Syed Mokhtar Al-Bukhary, had expressed its interest to acquire the property. “We discussed it at the board and have related the offer back to the ministry, so we’ll wait for the decision,” he said, adding that there were parties who were interested to either jointly develop or acquire the property. According to recent reports, Tradewinds Corp had approached UDA to redevelop BB Plaza under a 50:50 joint venture which the latter’s board had declined because the returns were not lucrative enough. MRT Corp, the body tasked with overseeing the development of the MRT line, have previously said it has no plans to acquire BB Plaza, valued at an estimated RM500mil. Ahmad said UDA had no plans to redevelop the property on its own due to the lack of funds. “There’s been talk of redevelopment but not in the near term as we don’t have the funds because we’re trying to clean up our balance sheet,” he clarified. UDA’s senior vice-president of property management Syed Ahmad Nazri Syed Kamaruzaman said the company was just as surprised as the tenants that the property was going to be demolished. “We had a meeting with the tenants because of the confusion over the status of the property especially after reports came out saying that BB Plaza will not be demolished. In all our meetings with the ministry, the understanding is that the property will be demolished,” he said. Syed Ahmad Nazri said a letter from MRT Corp only requested UDA to vacate the front of the property while Ahmad pointed out that this has caused a lot of confusion. “Initially MRT Corp told us that they just need the front portion and that the station will be underground. “They said there was no need to demolish the whole building. Later on when we discussed with them, they said the whole building will have to be brought down, so this is the confusion of the last one month or so,” he said. Meanwhile, Syed Ahmad Nazri said compensation for the tenants was discussed but it was the stance of the company that compensation should come from MRT Corp.
“In fact we’ve passed the claims of several of the tenants to MRT Corp and they have come back to us asking for more information. Even though there’s nothing formal, we’re working towards it,” he said.